Serious Punters Think About The Big P! Despite often being seen as a 'mug's game' horse racing is one of few gambling pursuits where the punter can possibly have the odds in their favour. Racing is more than tips and trackwork updates - if you are serious about how you play then you'd already be using RewardBet and we hope this article provides some more food for thought for the smart punter. A majority of punters get into the game with the goal of making a profit. This goal is achieved not by finding winners but by finding good bets. There is a difference, which is what we will look at that briefly in this article. 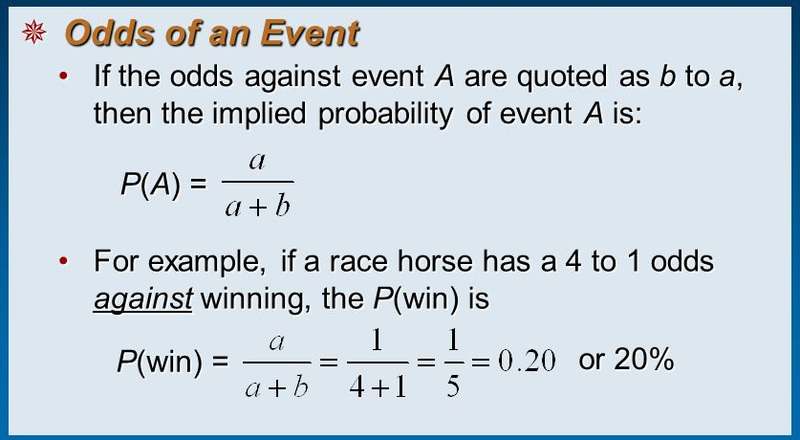 Due to the fact that the true odds of the outcomes are unknown, it is theoretically possible to have the odds in your favour as a punter at the races, which makes it fairly distinct from most other gambling pursuits. Just about all other forms of gambling start with one certainty. That the odds are locked in favour of the 'house'. The law of averages will apply to racing in the long term, even money shots will win closer and closer to their true probability (50%) with more and more occurrences, but in the short term, results are essentially random. The randomness of racing in the short term essentially means that we mustn't look at the form like it is a mathematical equation as there is no one answer. We need to look at racing more probabilistically and can't fall into the trap of thinking that among the information available to us sits the answer, a horse 'destined' to win the race. This line of thinking can be reinforced by retrospect where it all looks so easy. If the horse we bet on wins we feel like we got the race right and if it loses we feel as though we got the race wrong. This isn't to say that there is nothing to be learned from results – we can and should update and refine our methods as more information comes to hand - but we have to accept that one of the very few certainties in racing is that losing bets will be frequent and that they are not necessarily bad bets due to that fact. The proof of this will be in the pudding - or lack thereof - at the end of the year when your bottom line will show fairly clearly whether you are making good or bad bets. So over the long term, we can find out whether we are making good bets - taking better than 'true odds' - but for the short term, we just have to remain disciplined and stick to our methods in the face of individual results. A good analogy for this is a game of golf, where making good bets is liking hitting greens in regulation. We will spend a lot of the punting year making par or breaking even, but if we keep making enough good bets, and hitting enough greens, then over the journey we will give ourselves plenty of chances to make birdie and our scorecard at the end of the year will reflect this. Of course, it's all well and good to say we are going to go out and hit more greens in regulation. To actually do so we are going to need to work on our swing and the clubs we use on the course. Luckily for you, you already are carrying the world's best driver - ie: using RewardBet for your staking.